The food packets were distributed just before Union minister Dr Mahesh Sharma arrived at a polling booth in Noida Sector 15A. The BJP leader is contesting from Gautam Buddh Nagar. 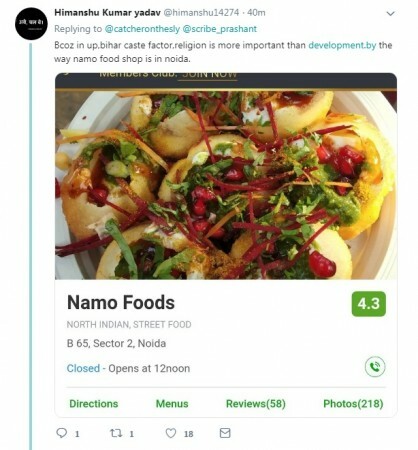 There was an uproar on social media on Thursday morning after 'NaMo Foods' packets were distributed outside a Lok Sabha polling booth in Noida, Uttar Pradesh. The Election Commission had also reportedly taken cognisance of the matter. According to reports, the food packets were distributed just before Union minister Dr Mahesh Sharma arrived at a polling station in Noida Sector 15A. The BJP leader is contesting from Gautam Buddh Nagar. 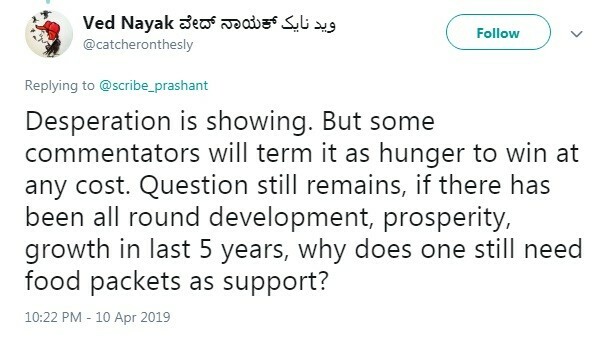 A similar incident of politically-motivated distribution of food packets was also reported in Andhra Pradesh. 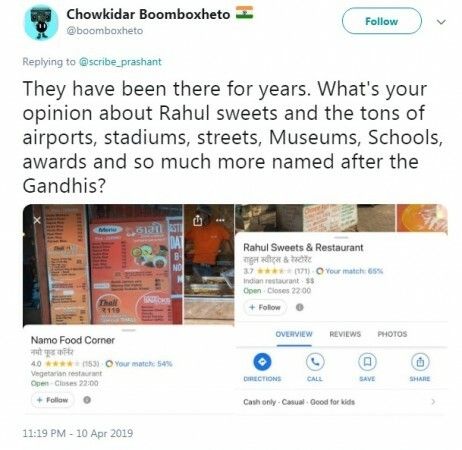 Several social media users claimed that it was a political stunt by the Bharatiya Janata Party which violated the Model Code of Conduct announced by the Election Commission. According to the rules, the parties and candidates must avoid "corrupt practices" and offences such as bribing of voters, intimidation of voters, canvassing within 100 meters of polling stations, holding public meetings during the period of 48 hours ending with the hour fixed for the close of the poll, and the transport and conveyance of voters to and from polling station. Reacting to the incident in Noida, the UP Police claimed some people were spreading wrong and politically motivated rumours. 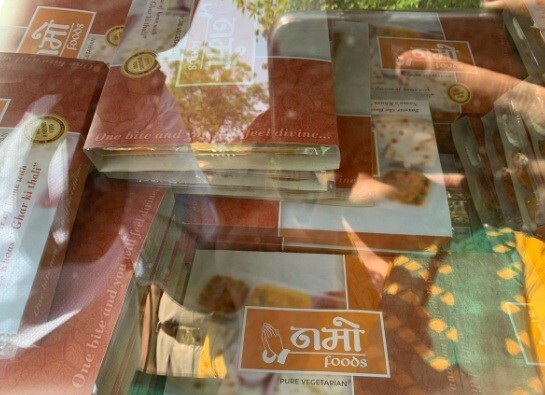 The SSP Noida said that the food packets were procured from "Namo Foods" shop in Noida Sector 2.